More than any other band in the world, Radiohead is considered one of the most unique and respected music groups of today’s era. They are the trendsetters when it comes to electronic/experimental rock. Their sound is completely original, creative and unlike any musician out there today; even with all the fresh sounds and instrumental mixtures, Radiohead manages to constantly create and excel when it comes to bringing something new to the music world and to inspire listeners to contemplate what it all ‘means’ rather than just how it sounds. 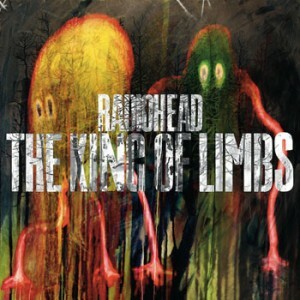 “The King of Limbs”, the band’s eighth album, is no difference. After their ‘pay what you want’ format for “In Rainbows” stating that they were done with LP’s, the band decided to grace us with the physical release of what feels like a two-part masterpiece, where the beginning from electronic conflict progresses to guitar mixes in a flowing jazzy ballad-base with reverb-soaked noises as a finish. Being the experts that they are, The King of Limbs successfully incorporates the soundscapes of modern electronic and post dub-step music in a warmer, lighter, more organic way than this band’s previous records. With subtler rhythms, songs were not created to sing along or even with many definitive hooks and melodies to latch on to, but more of an expression of Thom Yorke’s latest evolution and development. Similar to his latest work as a solo artist in “The Eraser” or side project with band Atoms for Peace, where he played an integral role in the production and creation of songs, King of Limbs highly compares to this genius’s latest ways of expression. The name of the album comes from a thousand year old oak tree found in Savernake Forest in Wiltshire, England, not far from where Radiohead has recorded in the past. Therefore, it is not a surprise that throughout the album’s songs, the band mentions how they puzzle over where their music dwells in the natural world, as if inspired by the tree. You can even hear the chirping of birds at the end of song “Codex” and throughout the entire album you can listen to mixtures between electronic sounds and those of Mother Nature herself. As always, Radiohead has pushed its audience away from the norm and familiar with their latest record. Motivated not by commercial success, but rather by their loyal fans to share throughout their music what they feel is the maximum expression of themselves.